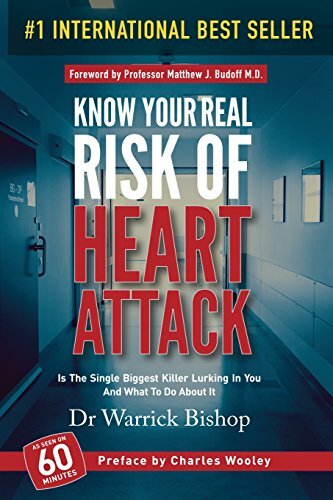 Doctor Warrick Bishop - Heart Attacks Are Preventable! Aspirin is a household word. The chemical name of the compound is Acetylsalicylic Acid, a mouthful that we are happy to refer to simply as “Aspirin”. This week I’ve had a number of patients come in missing both their statins but also other medications. I’d like to talk a little bit more a bit more about this because it’s a really important area. Coronary artery disease remains the biggest killer in the Western World despite significant advances in the understanding, diagnosis, and management of the condition. Most importantly, significant suffering could be avoided with simple maintenance. Six Things You Probably Didn’t Know About Your Heart! Your heart is the best pump you have ever owned! EP66: Statin Therapy In Australia: What's New? Being fit and healthy is no guarantee that the arteries in your heart are in good shape. Is Your Heart Getting Enough Vitamin D? Vitamin D is important because it is central to the metabolism of calcium in the promotion of bone growth and in the formation and maintenance of bone strength. Gluten-free diets have soared in popularity over the past decade. Traditional approaches to coronary artery disease tend to focus on secondary prevention, or on treating the consequences of coronary artery disease. Understandably, Dr Bishop is unable to provide individual patient advice over the internet due to the complexity and importance of health related issues, further, Australian guidelines prevent professional specialist advice being offered without appropriate referral.